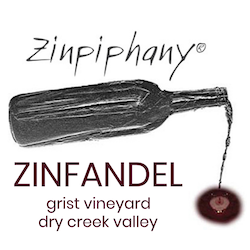 The 2011 Zinpiphany® started with ripe Grist Vineyards Zinfandel (99%) and was blended with Petite Sirah (½%) for its tannin and inky blackberry notes along with Grenache (½%) for its light berry aromatic notes. 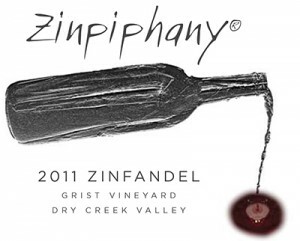 As with the previous award-winning vintages, the 2011 Zinpiphany® has layers of briary fruit, a nose of crushed raspberries and cinnamon and possesses tremendous appeal. It was excellent during blending and should provide years of great drinking.